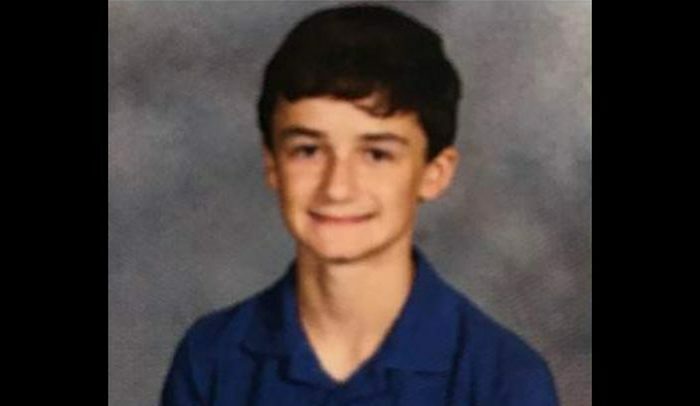 The parents of Kentucky shooting victim Preston Cope revealed the boy’s final moments before he was shot at Marshall County High School on Tuesday, Jan. 23. Cope, 15, was shot and killed by one of his classmates, an unnamed 15-year-old boy. A girl, 15-year-old Bailey Nicole Holt, was also killed and more than a dozen were hurt in the shooting. Cope’s father, Brian Cope, said Preston died on the way to the hospital, according to The Tennessean newspaper. He was shot in the head and hand. Both his parents were able to get to Preston in time to tell him they loved him as he lay dying. Cope recalled running red lights and speeding to get there in time. The parents said they were thankful for the support they received. There will be a memorial service for Bailey and Preston from 4 p.m. to 9 p.m. Saturday at the Reed Conder Memorial Gymnasium at Marshall County High School. Their funerals will be held Sunday, according to the paper.